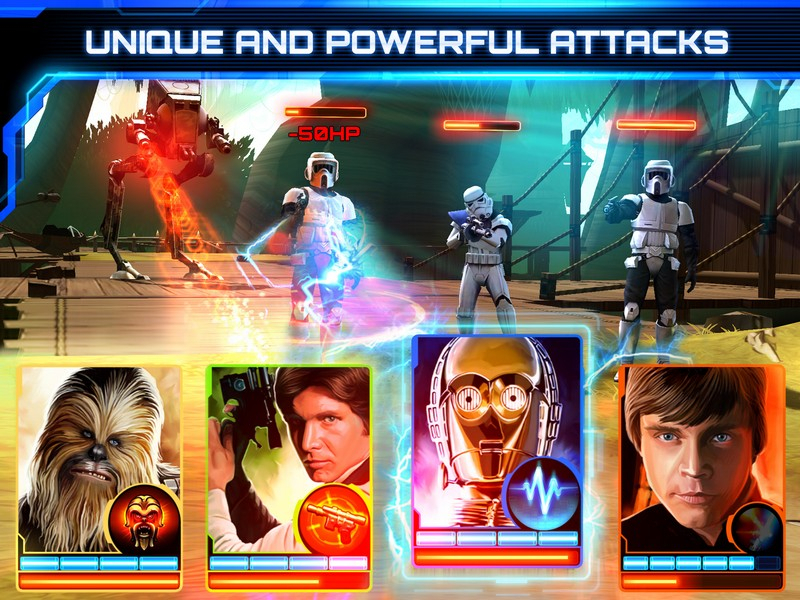 Star Wars: Assault Team is a free mobile game with turn-based combat. 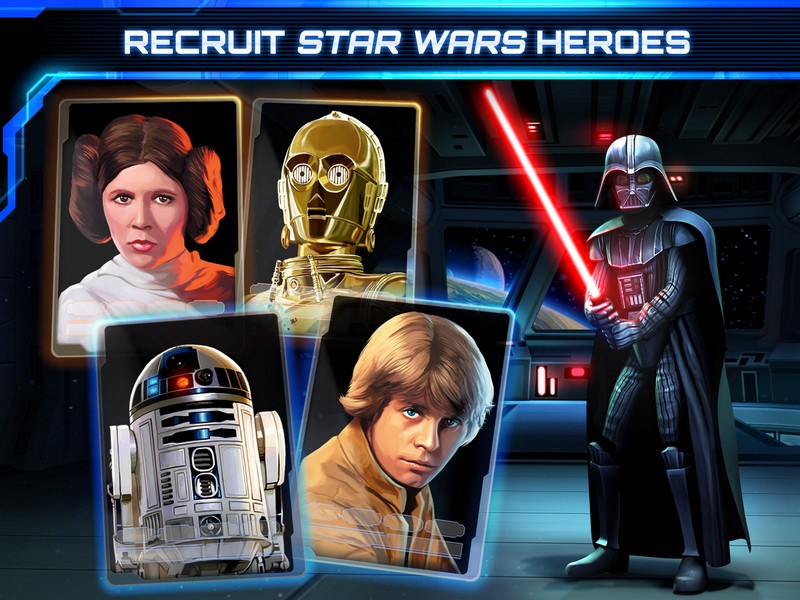 Gather a team of your favorite Star Wars heroes, and battle enemies and other players across the galaxy. 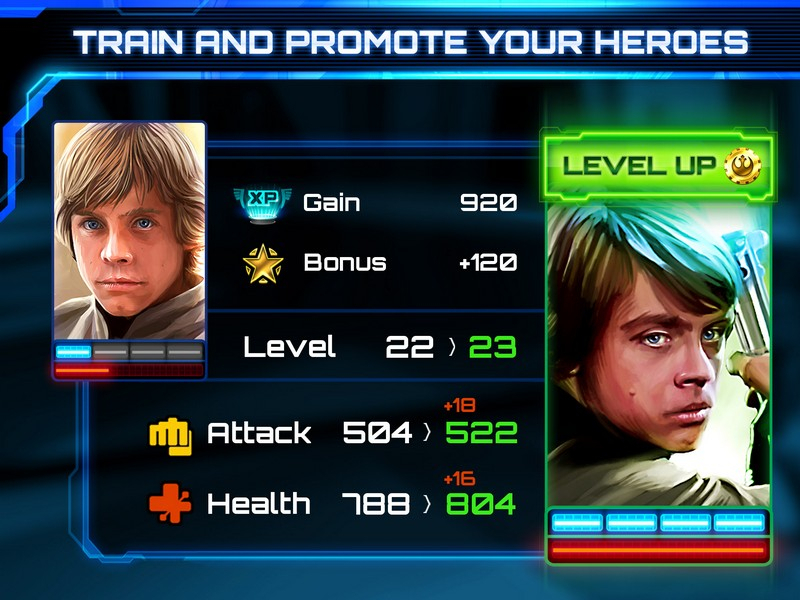 Build Your Team: Collect and use your favorite Star Wars characters including Luke Skywalker, Han Solo, and Boba Fett, each of which has its own unique stats and abilities to contribute to the team. 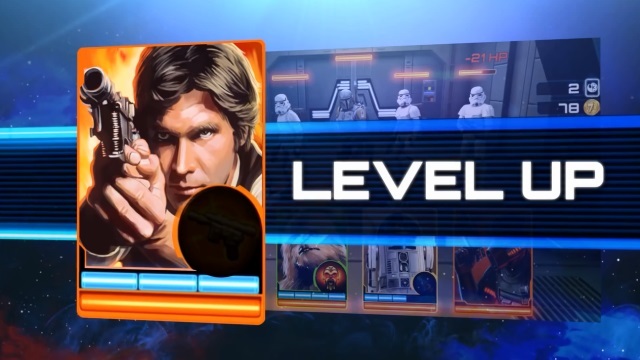 Tactical Decisions: Level up your team and choose from special tactic combinations to win your battles. 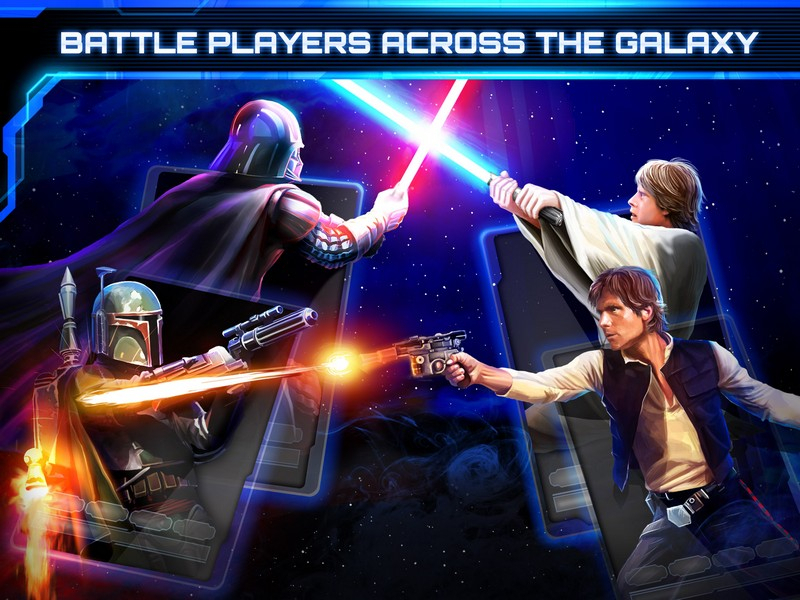 Competitive Play: Battle other players in PvP to earn extra rewards and fame. 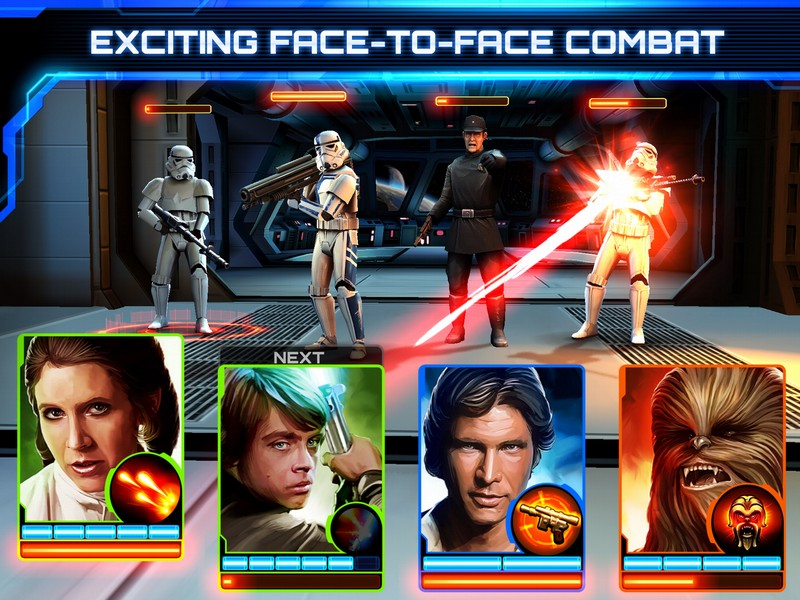 Assemble a powerful team of your favorite Star Wars™ heroes, and battle enemies and other players across the galaxy.